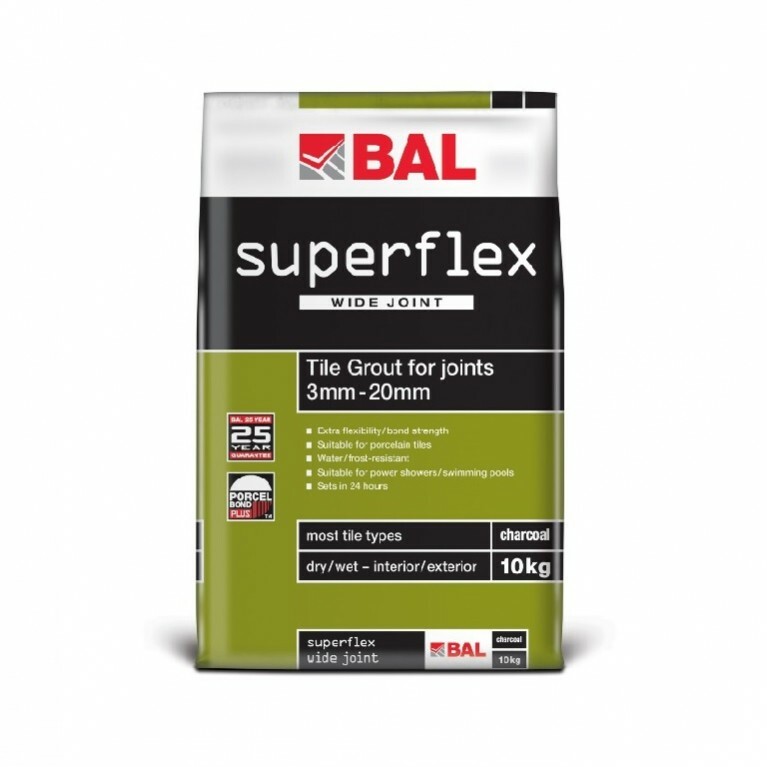 A fast-setting, rapid-strength, low shrinkage cement for use in screeds and renders, BAL Quickset Cement accepts foot traffic in just three hours and is suitable for installations such as swimming pools or underfloor heating. 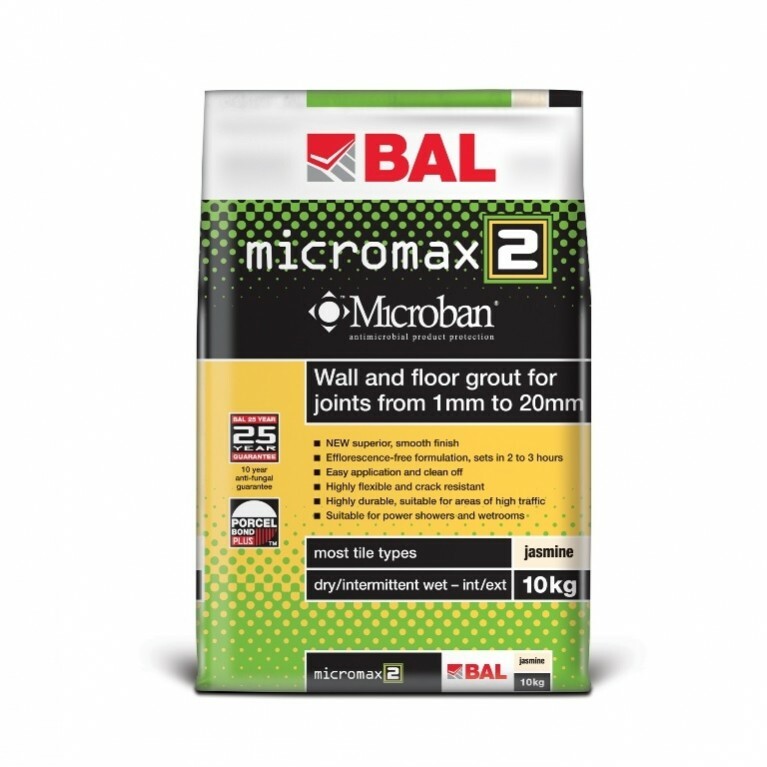 It has a number of benefits including a 60 minute pot life, and 80% less shrinkage than a standard OPC screed. 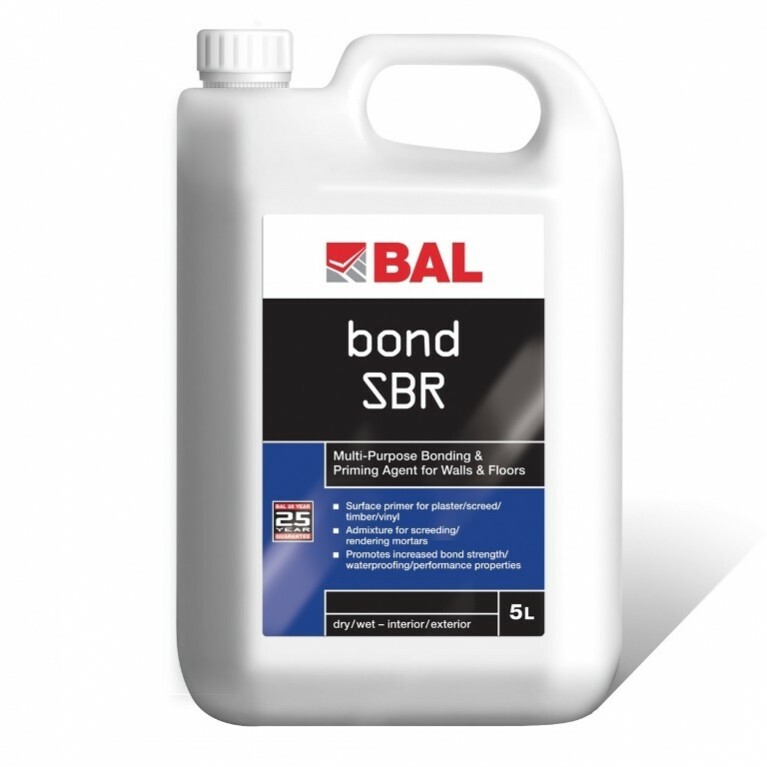 BAL Quickset Cement is water/frost resistant when set and can be pumped for fast track installation. 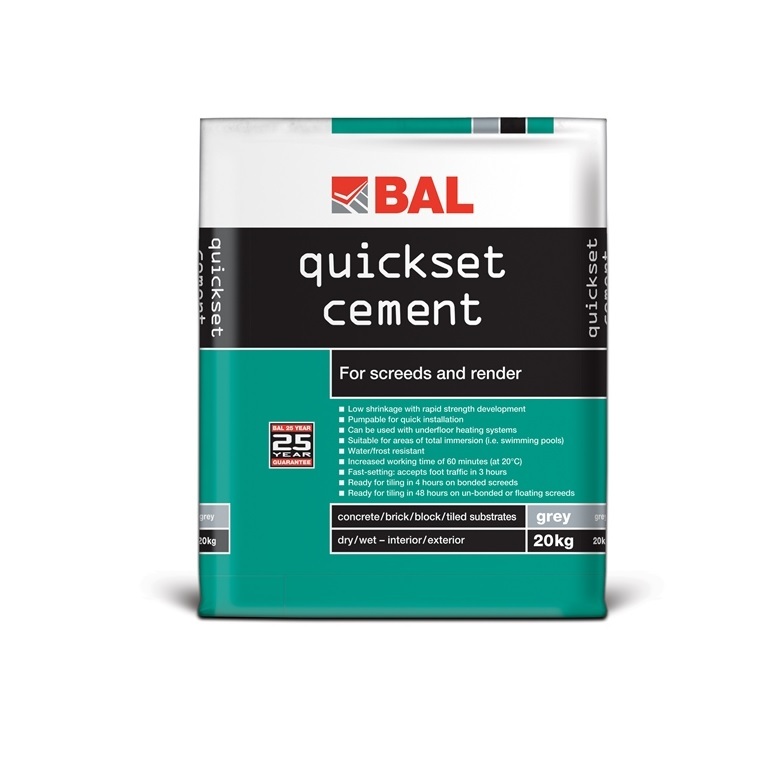 BAL Quickset Cement provides outstanding performance as a fast-track screed for indoor or outdoor projects. 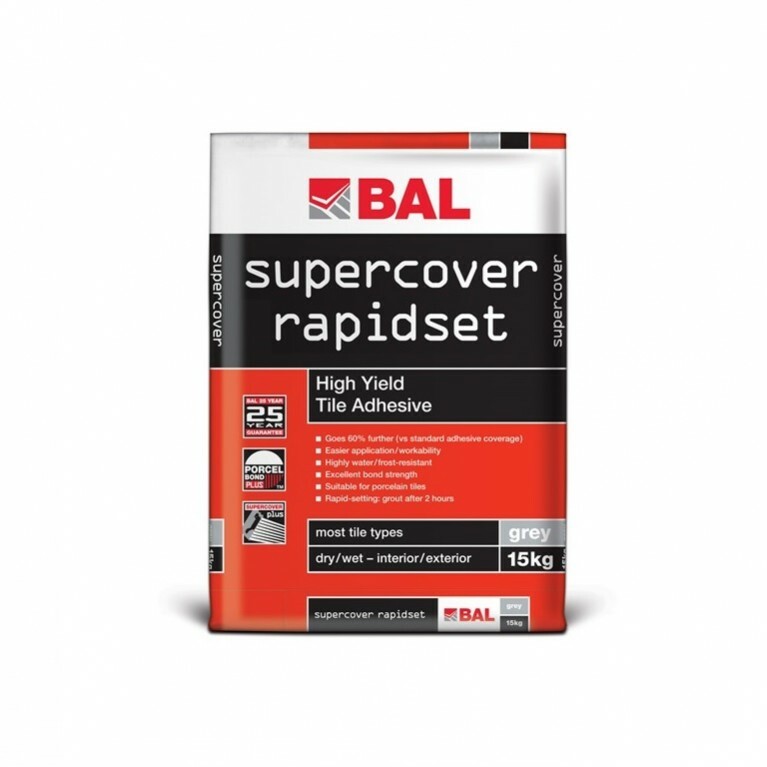 Accepting foot traffic in only three hours, BAL Quickset Cement allows significant time savings to be made on key installations compared with traditional cement screeds, for example three weeks on swimming pools or 15 days for underfloor heating. 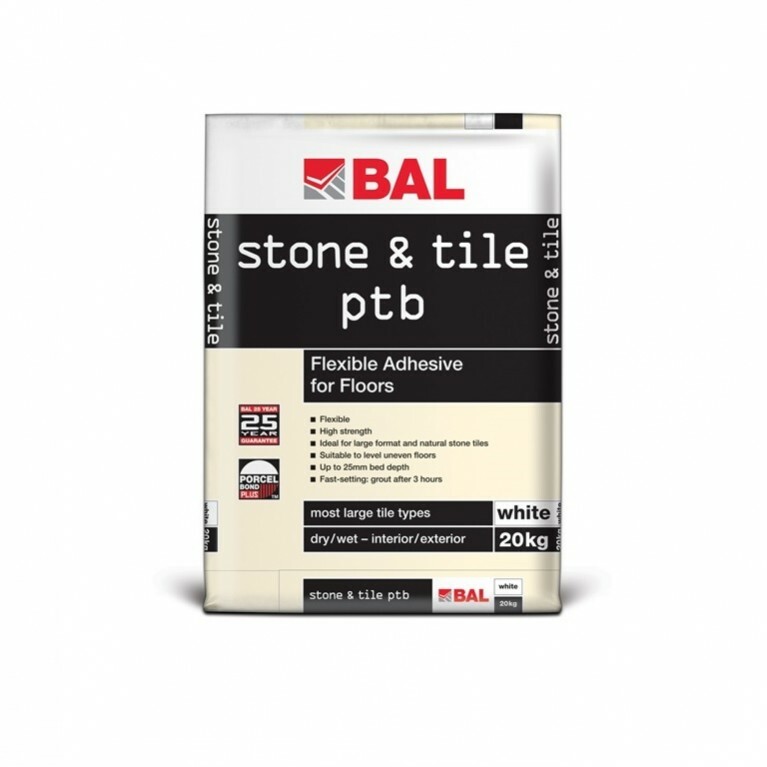 As well as offering outstanding performance, BAL Quickset Cement comes with a 25 year guarantee.